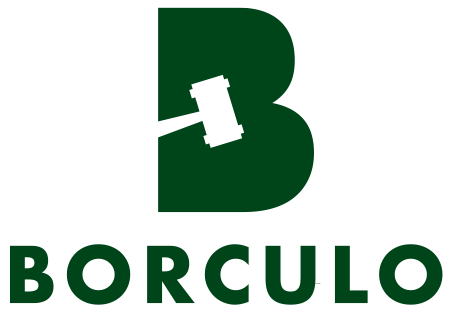 Entrance tickets give access to the auction event and entitle you to a seat on the stands. The tickets can be ordered online in advance. 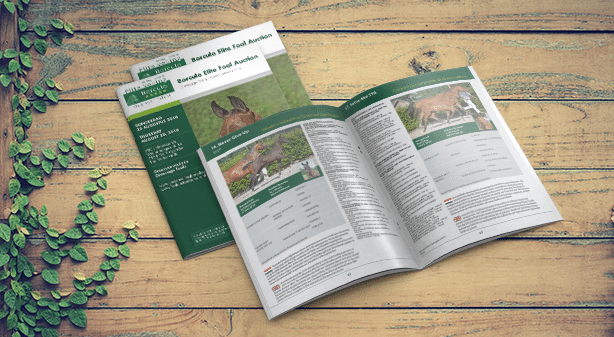 The catalogue is the ideal reference book for all information about the auction foals and about the auction itself. 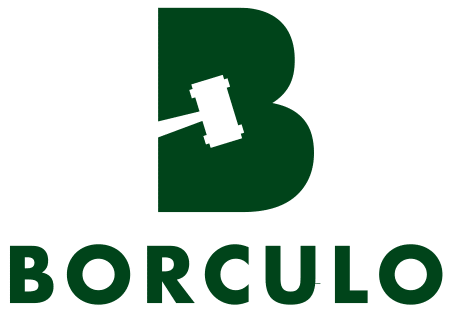 The most recent catalogue can be ordered online. With a VIP table you, your family, friends and/or business partners can closely experience all the action at our Elite Foal Auction. This VIP package includes dinner and beverages. 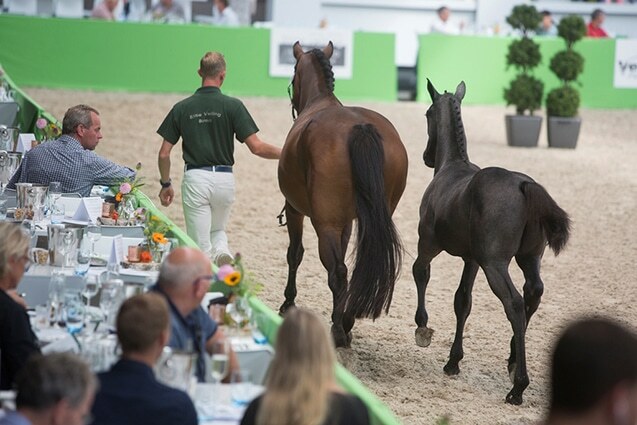 Enjoy our Elite Foal Auction from your VIP seat in a suitable way. This VIP package (minimum of 2 seats) includes dinner and beverages. 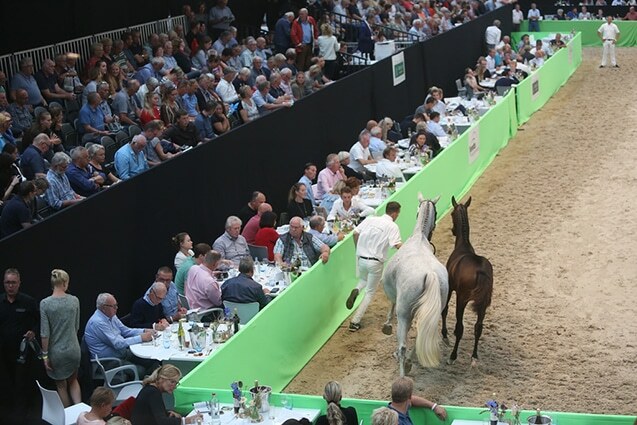 The skybox offers an extra experience to a cosy, atmospheric auction evening during the Elite Foal Auction. This package (minimum of 2 chairs) includes walking dinner.